Current Position: 34 1.8 N 006 49.35 W Click to view map. Wow, what a sail! With about 20 kts (true) of wind behind us, we set off from Lisbon with an average speed of 7.7kts. Far faster than our original anticipation, including one 24 hour stretch in which we covered over 180 miles which, I think, is a personal best. For the first 50 miles we sailed on a broad reach on starboard with 2 reefs in the main and a full jib. This was taking us off to starboard of our course, but giving us some great speed. Then we bore off a bit, and ran almost dead downwind with the jib out to starboard and the main out to port – sailing wing-on-wing as the Yanks call it or ‘goose-winged’ as the Brits would say. 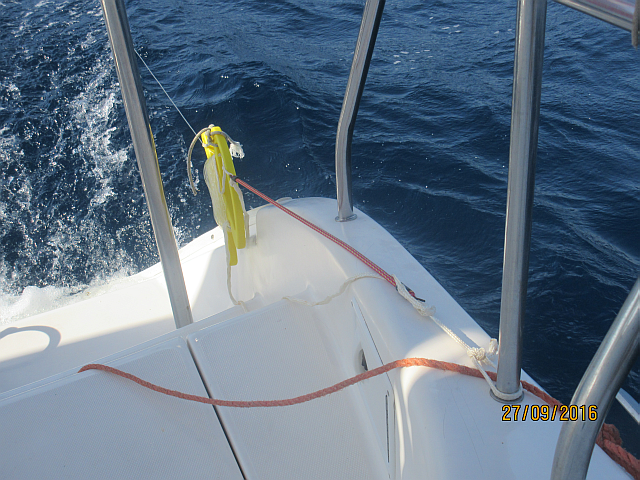 By keeping about 10 – 20 degrees to starboard of a dead run we avoid the risk of an accidental gybe – and we also have a gybe preventer rigged, just in case. The wind varied from about 10kts apparent to 25kts apparent. And the 2.5 meter waves also threw us around a far bit. At times we were surfing down the waves with speeds as high as 16kts. At other times we were down to 6kts. Our average for this stretch, though, was well up at 8kts. Exhilarating sailing! You will note that I talk about true and apparent with regard to the wind. Imagine you are on a bicycle on a calm day. As you pedal along, you feel a breeze on your face. Turn around and you still have a breeze on your face. That is your apparent wind, caused by your own forward motion. Now imagine it is a windy day, and you set off on your bike with the wind on your back. As you pedal more quickly, you notice the wind feels less. Go fast enough and the wind might now even be on your face. In this case, the wind you feel (your apparent wind) is the combination of your forward motion plus the real true wind. Thus the apparent wind might be more or less than the true wind, and it also may come from a different direction. But what we feel, and we can measure, on a boat is only the apparent wind. To find the true wind we have to do a bit of math. So mostly we talk about the apparent wind. There is a lot of big ship traffic down this coast, so we have been dodging them. So nice to have the AIS to tell us who we are (not) going to hit, and by how much we will miss them. Because there is so much commercial traffic rounding the cape on their travels between northern Europe and the Med, there is a Traffic Separation Scheme. Essentially this is like a two-way highway mapped out on the sea. The charts clearly show which lane you should be in, depending on your direction and your cargo. The outer lanes are for dangerous goods, and the inner lanes for other traffic. One ‘drives’ on the right so, going around Cape St. Vincent, the inner lanes are headed west and north and the outer lanes are for south and east. 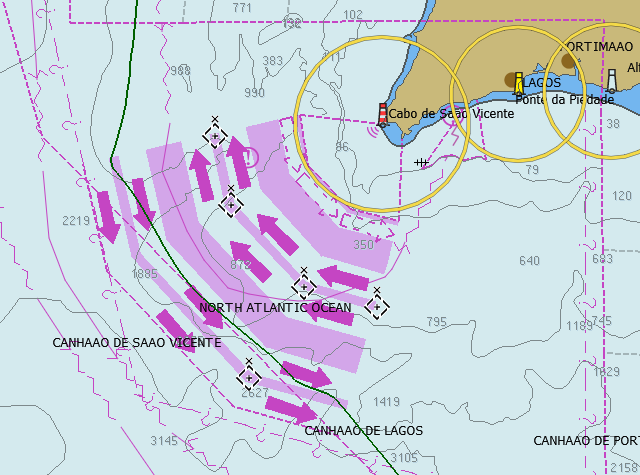 Originally our course took us close to Cap St. Vincent, inside of the traffic separation zone. But that meant we were dodging a lot of ships for a long time. So I decided to alter our course farther to the west, so as to sail along the correct lane of the traffic separation zone. This added about 18 miles to our overall distance, but at this speed that doesn’t seem to be a huge consideration, and it means I din’t have to wake Ceu up from her snooze to do an early gybe. On the image below you can clearly see the Traffic Separation Zone as it is marked on the chart, and also our track, in green, passing through it. 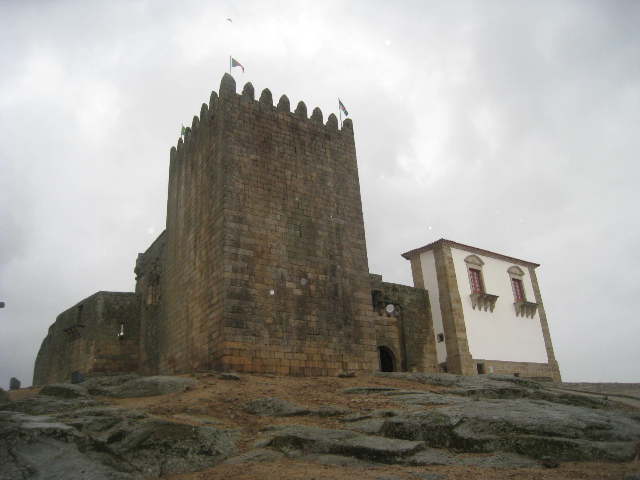 The black dashed diamonds with a cross in the middle and a cross at the top are virtual buoys. These are created from AIS signals that are transmitted from local shore stations. The signals are similar to those of ships, but in this case they indicate a virtual position, not a physical one. There are no actual buoys floating around in the TSS, just these virtual ones. There are actually several more of them, clearly marking out the traffic lanes, but the screenshot was taken when we were 100 miles farther south, so we were not receiving all of the signals fully. The sky was fantastic. It was a totally clear night, with the Milky Way very visible. The moon is crescent waning, and only rose at about 3 am, so before that it was really dark. So many stars! 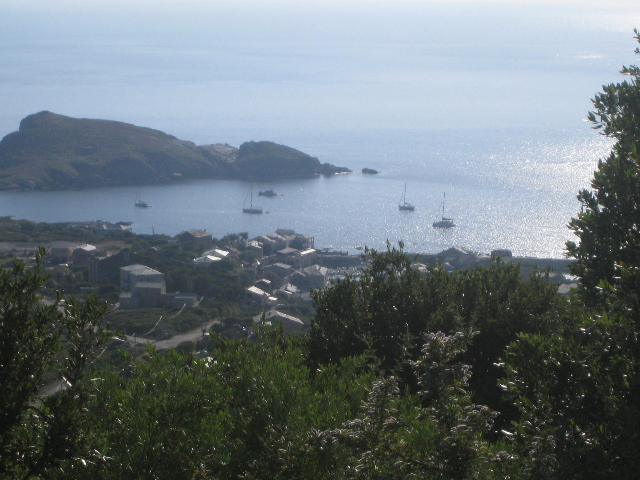 By 7am we were passing Cap St. Vincent. About 100 miles done, another 200 to go. Well ahead of schedule. Unfortunately we were too far out to sea to get a cell phone connection here, so no more connections, or updates, until we reach Rabat. The traffic separation scheme wound its way around Cap St. Vincent, and we finally came out of that by noon. At this point the wind died down a bit, as did our speed. We shook out the reefs and went to full sail on a broad reach on port, having gybed at the beginning of the Traffic Separation Scheme. You can see the sudden course change on our track in the image above. The wind stayed low through the afternoon, around 9-12kt apparent, and soon we were back to wing on wing, but on port tack this time. But as evening came on, with a beautiful sunset, the wind picked up again to 15-18kt. We put in a single reef for the night and our speed is back up at 7kts or so. For a while we were worried that we were going too slowly and would arrive at Rabat in the dark, but the wind held up through the night, maintaining our speed at above 6kts throughout. By morning the wind had veered (moved clockwise), so now we were on a close fetch but still laying the destination. The wind was down, so we shook out the reef, hauled in the sails, and still maintained the necessary 6+ kt average. At this point we were in the position shown on the chartlet below. On the image, we are the red blob. The red line with the blue diamonds is our theoretical fastest course that was plotted out by a weather routing plugin. What it does is take the weather forecast (provided in a gridded binary – GRIB – format), combines that with the theoretical speed of the boat on different courses and in different wind strengths, and calculates the fasted route from A to B. In this case it predicts we should arrive in Rabat at about 4pm. The green triangles are other ships, as plotted on the chart by AIS. 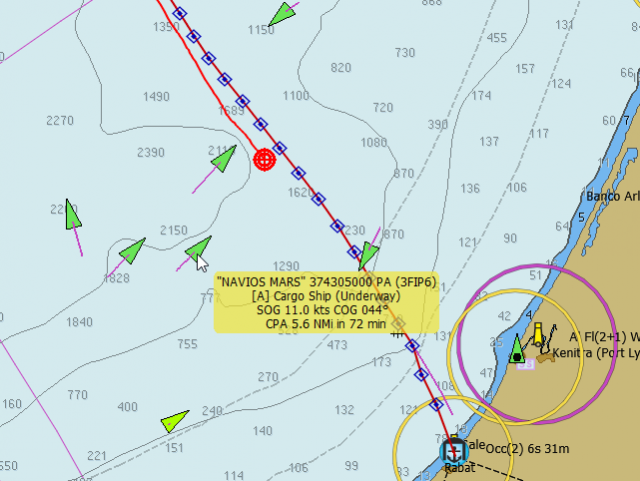 By hovering over one of them you can see that Navios Mars is travelling (speed over ground) at 11kts and will pass by us at a minimum distance (closest point of approach) of 5.6 nautical miles in 72 minutes time. So we don’t need to worry too much about him, unless his or our speed changes dramatically. If it looks like he will pass by closer than 2 miles, the chart will sound a loud alarm to warn us. The ship to the bottom left, in lime green, is that color as we are not receiving full information on him. There is also a ship at anchor (shown by the single black ball on it) in the river at Kenitra. Clever stuff, eh? A couple of hours later the wind had freed off again, and so the sails were also let out farther. A cloudy start to the day, but noticeably warmer than the previous day. Still maintaining our 6kt average, though it was looking a bit dicey at one point, especially when the wind dropped right down and the fog closed in. So on went our new fog horn – long and two shorts for a sailboat – and on went our radar. We were starting to get into the Moroccan fishing areas, so we didn’t want to run into some small unmarked fishing vessel. At 1:30pm the sun broke through, the fog dispersed, and the wind dropped right down. We needed some more speed. 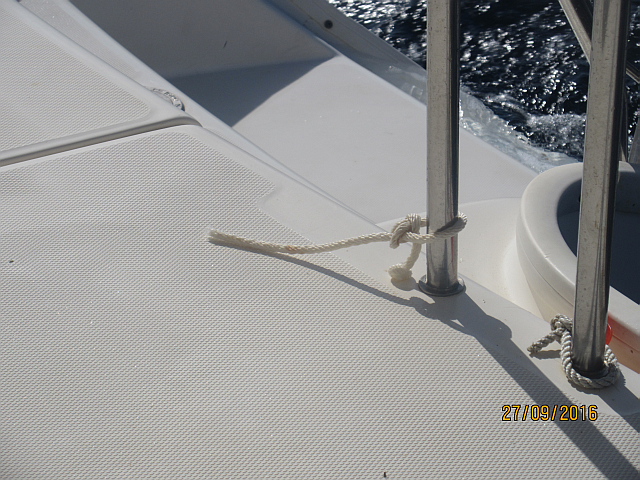 So up goes the spinnaker and instantly we have another knot and a half. 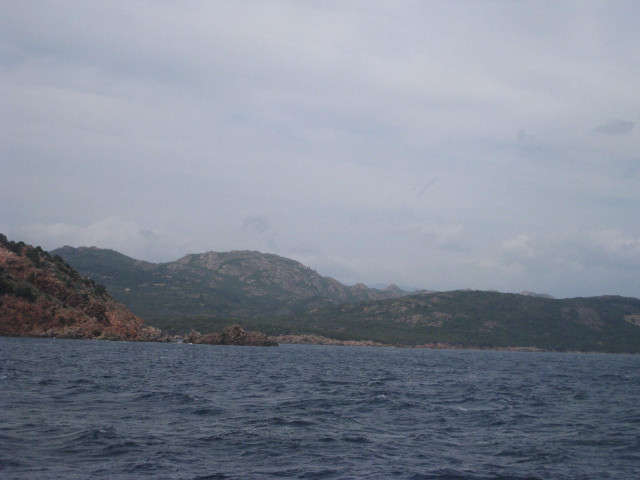 Back to above 6kts – indeed, creaming along at 7kts much of the time as the wind did pick up again. We can still make it in time for tea (and before dark, more importantly). But then tragedy strikes! I go to check the fishing lines and discover that one entire rig has disappeared. On it were the yellow handle on which the line gets coiled, a diving planer, and a huntington drone. All of these were attached to the boat with a heavy duty piece of string, just like the other handline as seen below. Except in this case the entire lot is gone. The string tying it all to the boat was severed just inches away from its attachment, as you can see on the second photo. All that is left is a few inches of string. What the heck? There are no rough edges anywhere near there. It looks like it was cut through. But how on Earth could that happen? Did Neptune sneak onboard and cut away our fishing gear? We have not yet crossed the Equator, so I don’t see how we might have offended him. There were many weaker links farther down the line that should break first if there was any heavy load on it, so how could the line part way up here? This is a totally mystery, and very frustrating to lose all that gear. And we still didn’t catch anything on the other lines. But still, we had a glorious sail with everything from a good fast blow, to brief light winds and then a fantastic spinnaker reach in glorious sun for the final 4 hours. We arrived in Rabat just as the wind was fading. We motored the last 4 miles and followed the pilot boat in through some big, but not breaking, wwaves. At the reception dock we were med by four customs and immigration people, plus one dog. They all came aboard and were very friendly. We filled in a bunch of forms and the dog had a good sniff around. Their English was reasonable. 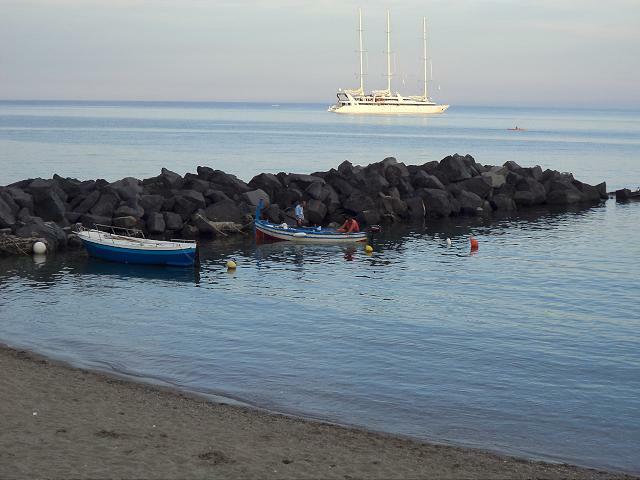 We were then take around to our dock in the marina where four marineiros took our lines and helped us to tie up. All very helpful and friendly. Then we went of a lovely shower with a huge ‘rain’ shower head. A very pleasant introduction to Morocco. This morning we met with some of the 7 Dutch boats here, and also a Canadian from Montreal. There is one other singlehanded Canadian who, apparently, has been round the world twice by himself in his small monohull. We have also be drying out the bedding from the port bed as we discovered that the hatch cover, though closed, was not locked, and so some of this big waves dumped themselves right onto the bed. Not so good. But by now they are actually already rinsed and almost dry. Today the wind has set in from the East already, and it is bringing some Saharan dust with it. I am glad we did our crossing then. Tomorrow we go exploring. Most likely we will go and spend a few days in Marrakech. That sounds like a fun and wild sail. Glad you made it ok. Sure sounds adventurous and fun. Enjoy the exploring and stay in touch. Hey, we were just talking about you guys too! Where have you parked Far Out this winter?